In recording the estates of the Archbishop of Canterbury, Domesday Book (2, 9) mentions two churches under West Tarring and the second, a chapelry, may be presumed to be that of Heene. This never acquired full independence from its mother-parish, but existed until 1766, when a faculty to dismantle it was granted as no services had been held for many years (Horsfield II p192). By the early C19 only the east end remained. This still stands north of the present church, but there is too little to permit it to be dated with certainty, though the C13 has been suggested (EH). 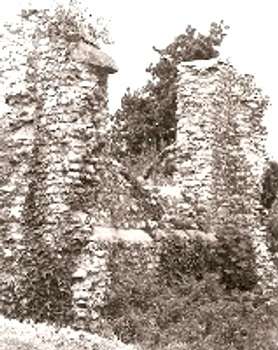 A ‘handsome stone window’ was pulled down as dangerous ‘within living memory’ in 1892 (1 p158). The size of the opening suggests it was C14 at the earliest, but no depiction is known. 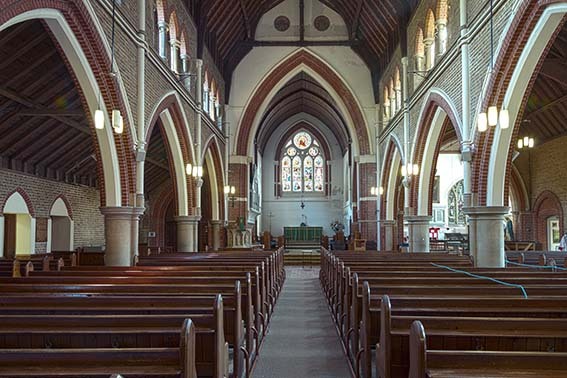 Mainly after the establishment of the Heene Estate Company in 1864, the area was developed as part of the expansion of Worthing and in 1873 Heene became a separate parish, partly thanks to a substantial donation from the Company towards the new church. The church of brick and flint had been begun a year before to E E Scott‘s design (B 30 p772). It was consecrated in 1873, though the western part of the nave, tower and spire were only finished in 1879, when Scott’s then partner R S Hyde was also involved (ICBS). Quartermain ((W) p126) shows it in the interim with a small belfry. The design is influenced by G E Street’s work of the period, notably St Saviour, Eastbourne, but lacks the originality of that church. Except for tracery in the chancel the windows were originally lancets, grouped in the aisles and clerestory (the south aisle has been rebuilt). The tower is well proportioned, but the shingled spire has lost its lucarnes and thus fails to provide a strong enough termination. The interior displays influences which have not been fully understood; for instance, the polychrome red and yellow facing bricks of the walls clash with the brown and grey stone. Some detail is clumsy, such as the shafts on each arcade pier, which rise to the roof and with the string-courses and hook-corbels recall nothing so much as old fashioned external plumbing. Later changes included the rebuilding of the south aisle with a chapel in 1903-05 by Hyde (WSRO Par 99/4/3). It is wider, with larger windows containing poor tracery and the south transept was also lengthened. Plans for treating the north aisle similarly were not carried out. 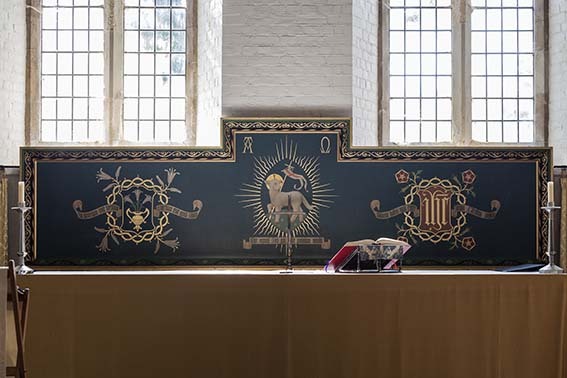 Inside, the lack of a reredos deprives the east end of a much needed focus and the bareness of the chancel is emphasised by the whitewashed walls. In 1982, an extension was built against the north aisle, from which it is entered, designed by R Brough (church website). It is built of flint and brick to match the main church. A proposed scheme of redundancy for the parish was announced in 2015 but rejected by the Church Commissioners. A major reason stated for the proposal was the anticipated high cost of necessary repairs. The proposal was also to be seen in the light of the pastoral re-organisation of Worthing, which foresaw the joining of the parish to that of St Matthew. 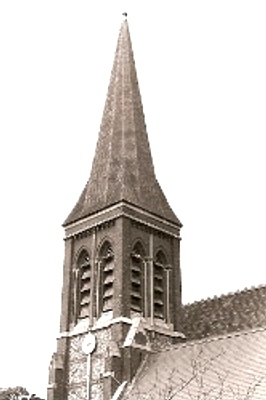 Since the rejection of the proposal an ambitious scheme of repairs has been started, of which the most visible aspect was the re-shingling of the spire in the summer of 2016. In the same year work on the interior was undertaken (church website). Altar and reredos: (South transept) Painted with a dark blue ground by W H R Blacking, 1935 (2 p21). Font: (In the ruin) Broken octagonal bowl, perhaps C15, now used for flowers. 1. (South chancel, now opening into chapel) J Powell and Sons, designed by H Holiday, 1883 (www.stainedglassrecords.org retrieved on 10/2/2013). 2. (South aisle, second three-light window) 1883-92. J Powell and Sons. left-hand light by H Holiday, 1892; right-hand light also by J Powell’s, 1890, centre light signed by W G Taylor, c1897 (ibid). Nick Wiseman (Personal contribution) has however questioned the attribution of Holiday’s light, suggesting that the other ones are more typical of his work. 3. (South aisle, third three-light window) J Powell’s, 1883-91 (Order book); right-hand light only by J W Brown (Cash book). 4. (West window) J Powell and Sons, 1892, designed by G Hutchinson (Order book). 5. 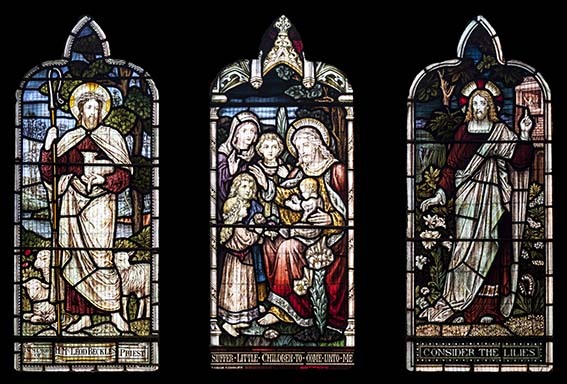 (North aisle, third and fourth windows) M O’Connor and W G Taylor, c1871 (one signed). 6. (South transept first east window) A L Moore, 1912 (WSRO Fac 4059). 7. (South transept second east window) A O Hemming, 1903 (www.stainedglassrecords.org retrieved on 10/3/2013). A striking design covering all three lights. The form of the trees in the background in particular show the influence of the later work of Morris and Co.
8. (South aisle first and fourth lancets) L Lee, 1953 (signed). Muted colours with much plain glass (ibid). 9. 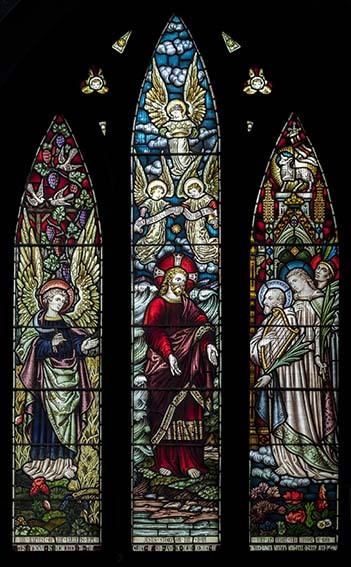 (North aisle, sixth window) Barton, Kinder and Alderson, 1960 (WSRO Fac 874). A figure set in plain glass and rather sentimental in design. 10. 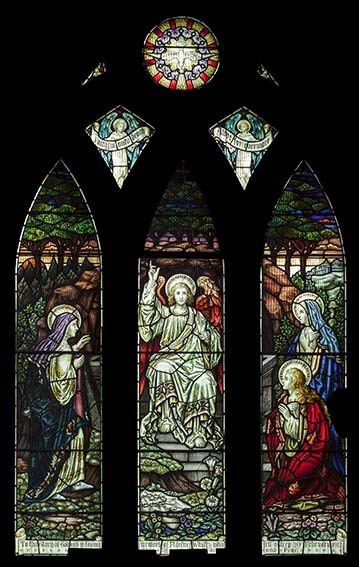 (North aisle, fifth window) C J Edwards, 1970s (signed). A single light figure of St John with rather acidic colours. 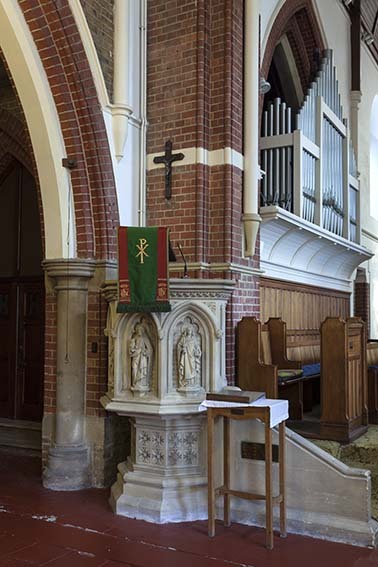 Pulpit: Stone with arcaded sides containing figures and with diaperwork on the base. 1. My thanks to Nick Wiseman for the colour photographs of the interior and glass. 2. I am also much indebted to Jackie Didymus, Publicity Co-ordinator of St Botolph’s who updated me on the current status of the parish and the repairs being carried out.